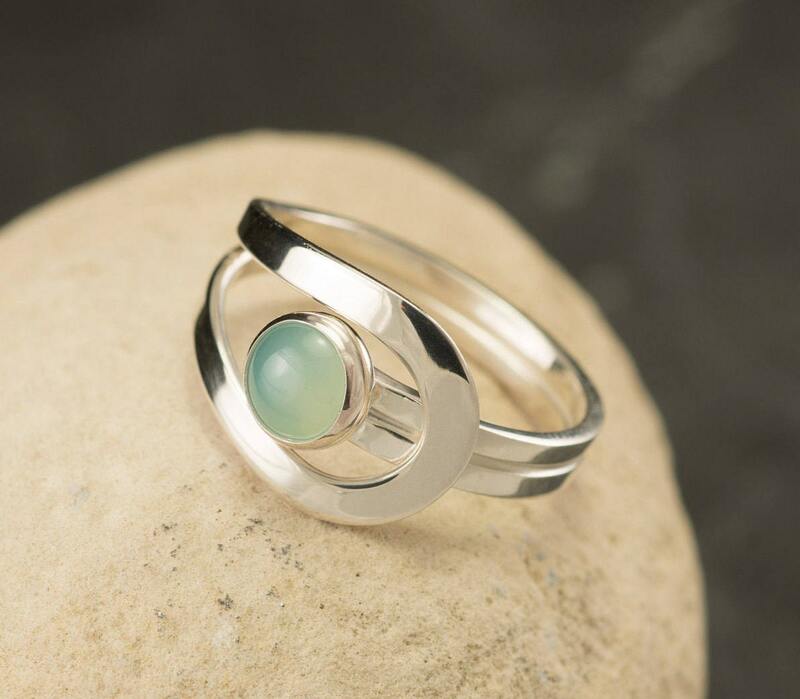 This argentium sterling silver ring is a simple round band that has two curving lines which accentuate a 6mm aqua chalcedony gemstone. This ring was designed to curve naturally around the finger for a comfortable fit. 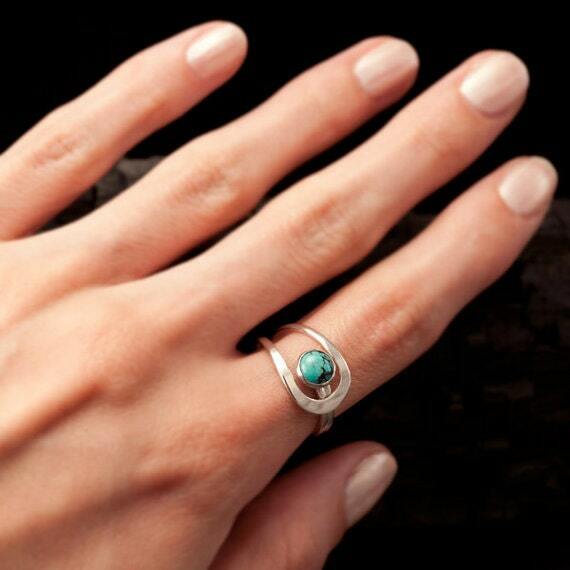 This ring is also slightly adjustable for the perfect fit (adjusts approximately a 1/4 size up or down). In order to determine your correct ring size I strongly recommend having your finger measured at a jewelry store. Gorgeous! 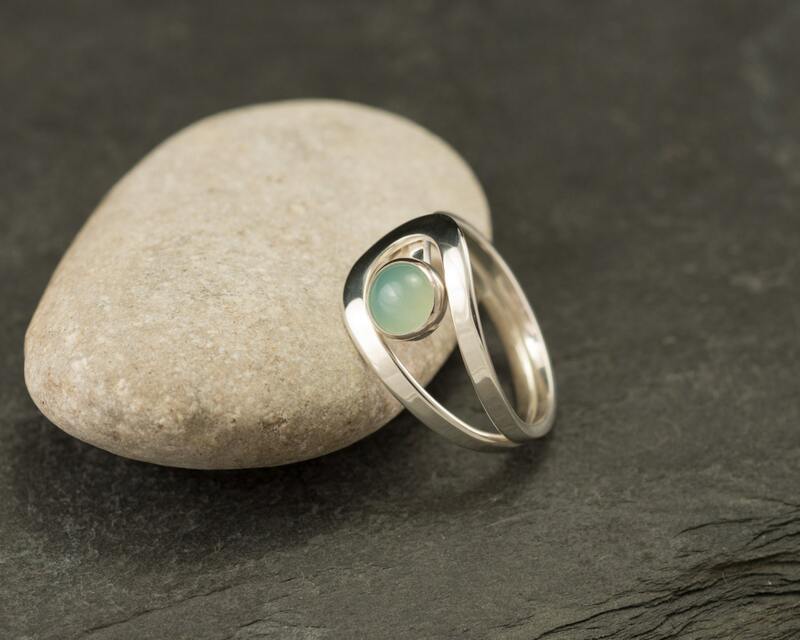 I love the shine of the silver and the lovely shade of chalcedony. The ring is very comfortable to wear. Gorgeous ring! Great quality and wonderful service ! Beautiful! It arrived quickly and was a perfect fit! This lovely ring was exactly what I expected! What I didn't expect was the immediate shipping, beautifully detailed presentation and handwritten thank you note. 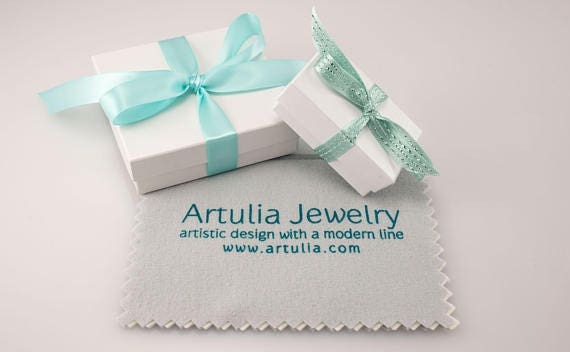 I will definitely order again from Meaghan at Artulia, Etsy should be proud!